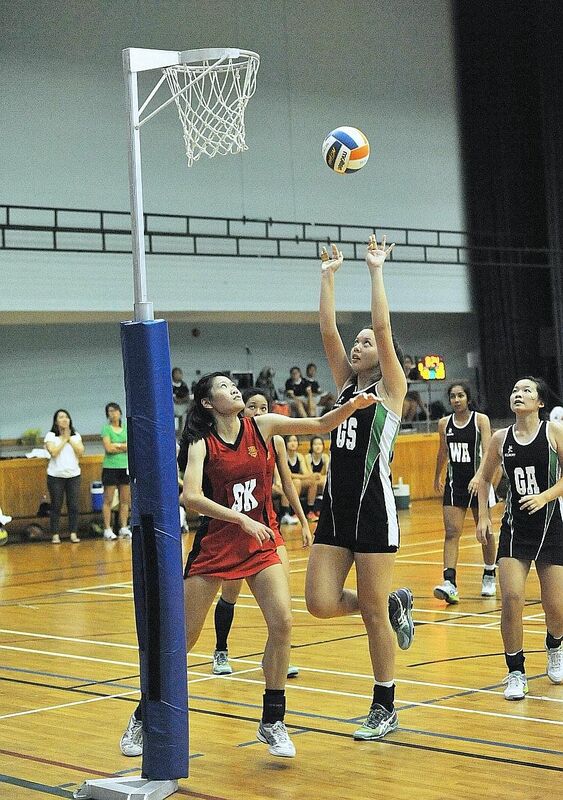 When Raffles Institution (RI) defeated Hwa Chong Institution (HCI) 68-40 in the Schools National A Division netball final yesterday, the victory set a new record for the school. It marked the first time the school had captured the title for three successive years. But despite building title-winning teams in the last three years, RI coach Chng Li Li's secret is just plain hard work. Chng, who also coaches Thailand's national team and is an assistant coach for the Singapore national side, said: "I only tell my players to just work hard and work harder. We've been training a lot and we played according to the game plan in the final. "Even though we were defending champions, we came here with nothing to lose. There was no pressure on them so we just told them to enjoy, fight hard and play for each other." Undefeated throughout the eight-game tournament, RI showed why they were the two-time defending champions when they stormed to take a 16-12 lead in the first period. They widened the gap in the second and third quarter (31-24, 48-34). Standing at 1.84m, RI goal shooter Isabelle Belanger was easily the tallest player on the court. And she proved too much to handle for the HCI defence as she bagged a game-high 50 points. RI captain Eyu Yan Yan, 18, said: "To be able to do our part and contribute to this hat-trick of titles is really amazing and I'm just very proud of the team. "There was definitely some form of pressure (to continue winning) and some fear, but what really helped was the seniors themselves giving their encouragement and coming down for trainings - that made a lot of difference." In the third- and fourth-place play-off held yesterday, Anglo-Chinese Junior College edged out River Valley High School 32-27 to take bronze.